New Delhi : An estimated 68 per cent of voters exercised their franchise in the first phase of polling in 89 constituencies in Gujarat till 5 p.m., with the Election Commission saying the figure is likely to cross 70 per cent. Addressing a press conference Deputy Election Commissioner Umesh Sinha said polling was going on till late at many places, and those who were in the queue by 5 p.m. will be given an opportunity to vote. "In many places as reported till late the poll was going on. Those who were in queue at 5 p.m. will be given an opportunity to vote," he said, adding that the final polling figures will come late in the evening. The first phase of poll for 89 seats in 19 districts recorded 68 per cent polling, and it may touch the figure of 71 per cent, similar to the last assembly elections when the percentage was recorded at 70.7 per cent. 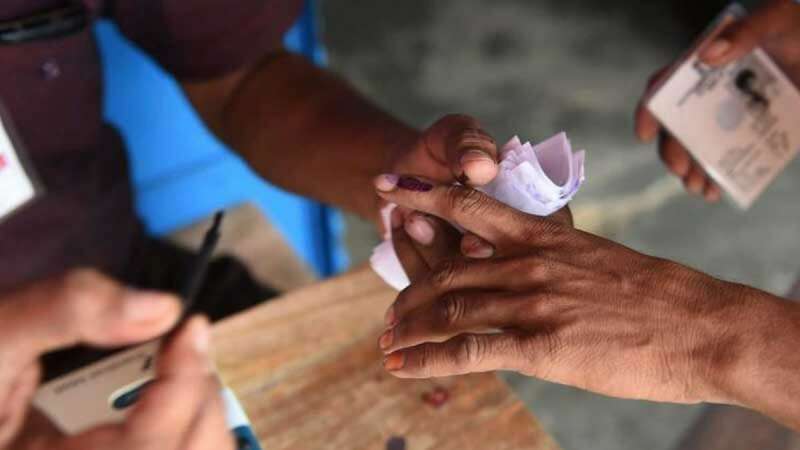 District wise, polling in Kachch district was recorded at 63 per cent, 75 in Surendranagar, 75 in Morbi, 70 in Rajkot, 65 in Jamnagar, 71 in Bharuch, 73 in Narmada, 73 in Khed, 60 in Porbandar, 63 in Devebhoomi Dwarka, 70 in Gir Somnath, 67 in Amreli, 62 in Bhavnagar, 70 in Surat, 75 in Navsari, 70 in Valsad, 60 in Botad, 73 in Tapi, 65 in Junagadh, 70 in Dang, and 60 in Botad. Sinha said that there were some complaints of Electronic Voting Machines being connected to bluetooth, but it was found to be "totally false". He also said that it was the first time EVMs with VVPAT (Voter-verified paper audit trail) was used on such a large scale.